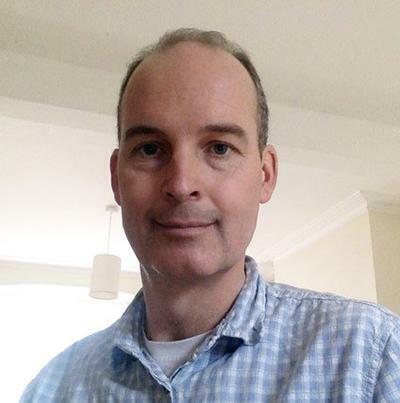 Tim Wildschut is Professor of Social and Personality Psychology at the University of Southampton. I received my PhD from the University of North Carolina at Chapel Hill in 2000. I am a recipient of the Gordon Allport Intergroup Relations Prize. I am a member of the Centre for Research on Self and Identity and the Social and Personality Psychology Research Group. My main research interests cover various aspects of intergroup conflict and self-relevant emotions, in particular nostalgia. In addition, I am interested in psychological measurement and statistics. Nostalgia: I am conducting a collaborative program of research that seeks to identify the content, antecedents, and functions of nostalgia. Our initial findings support the idea that nostalgia is a predominantly positive, self-relevant emotion associated with recall of past experiences involving interaction with close others. Intergroup conflict: I seek to identify antecedents of intergroup conflict by investigating what differences between intergroup and interindividual relations can account for the fact that intergroup relations are often more conflict prone. Ellett, L., & Wildschut, T. (2014). Are we all paranoid? The Psychologist, 27, 328-331. Wildschut, T., Insko, C. A., & Pinter, B. (2007). Interindividual-intergroup discontinuity as a joint function of acting as a group and interacting with a group. European Journal of Social Psychology, 37, 390-399. Lodewijkx, H. F. M., Wildschut, T., Savenije, W., Smit, M., & Nijstad, B. (2001). In a violent world a just world makes sense: the case of "senseless violence" in The Netherlands. Social Justice Research, 14(1), 79-94. Insko, C. A., Schopler, J., Gaertner, L., Wildschut, T., Kozar, R., Pinter, B., ... Montoya, M. R. (2001). Interindividual-intergroup discontinuity reduction through the anticipation of future interaction. Journal of Personality and Social Psychology, 80(1), 95-111. Schopler, J., Insko, C. A., Wieselquist, J., Pemberton, M., Witcher, B., Kozar, R., ... Wildschut, T. (2001). When groups are more competitive than individuals: The domain of the discontinuity effect. Journal of Personality and Social Psychology, 80(4), 632-644. Rusbult, C. E., Van Lange, P. A. M., Wildschut, T., Yovetich, N. A., & Verette, J. (2000). Perceived superiority in close relationships: Why it exists and persists. Journal of Personality and Social Psychology, 79(4), 521-545. Wildschut, T., & Insko, C. A. (2010). Interindividual--intergroup discontinuity. In J. M. Levine, & M. A. Hogg (Eds. ), Encyclopedia of Group Processes and Intergroup Relations Thousand Oaks, USA: SAGE. Wildschut, T., & Insko, C. A. (2006). A paradox of individual and group morality: Social psychology as empirical philosophy. In P. A. M. Van Lange (Ed. ), Bridging social psychology: Benefits of transdisciplinary approaches (pp. 377-384). Hillsdale, NJ: Erlbaum. Wildschut, T., Insko, C. A., & Pinter, B. (2004). The perception of outgroup threat: content and activation of the outgroup schema. In V. Yzerbyt, C. M. Judd, & O. Corneille (Eds. ), The Psychology of Group Perception (pp. 335-361). Psychology Press. Rusbult, C. E., Kumashiro, M., Finkel, E. J., & Wildschut, T. (2002). The war of the roses: an interdependence analysis of betrayal and forgiveness. In P. Noller, & J. A. Feeney (Eds. ), Understanding marriage: developments in the study of couple interaction (Advances in Personal Relationships). Cambridge, UK: Cambridge University Press.